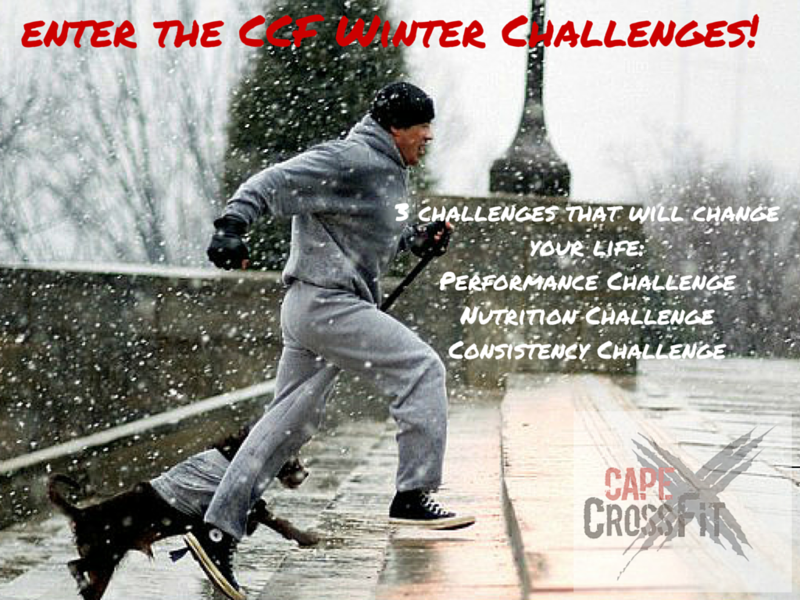 CCF 8 Weeks Winter Challenges WINNERS! 8 weeks to improve yourself, and WOW what amazing improvements we saw! We did the Challenges in all 3 CCF Boxes and then we put all CCF members together into big pools where the best improvements in each category from all 3 boxes were rewarded with prizes! This past Friday we had a big party where we retested the challenges and we can proudly say that the average improvement rate was absolutely mind-blowing! Close enough to every single member improved in either their max lift and/or their Benchmark tester Workout (Fran) and for the people that took part in the Nutrition Challenge not only did they improve a lot in terms of body composition (see numbers below), but they also gained healthy habits and many of them have vouched that the weekly articles and tips have helped them create a lifestyle around their eating that they can keep forever! The objective was to improve your 1RM Clean & Jerk and the classic CrossFit Benchmark "Fran"! Most athletes set a new PB when we started the challenge and then hit another one 8 weeks later - progress at it's best. Each participant put R100 in to the prize pool and all of the money went to the prize pool so the below winners multiplied their investment by far! Shannon S, (CCF Foreshore) +27% C&J, 52% improvement on Fran! Michelle W, (CCF Newlands) +18% C&J, 28% improvement on Fran! Luke K, (CCF Gardens) +8% C&J, 36% improvement on Fran! Erik S, (CCF Newlands) +11% C&J, 33.5% improvement on Fran! Jeanine van der Bio , (CCF Gardens) +25% C&J, 6% improvement on Fran! Michael S, (CCF Gardens) +5% C&J, 22% improvement on Fran! The objective here was to simply train as often as possible during these 8 weeks and we also gave away extra points for seeing your coach in up to two Goal Getting Sessions. For this challenge there was NO sign up fee, you simply needed to get your sessions signed off by your coaches and CCF and our in-house Bio, Jeanine, provided the prizes! Alistair G - 100% attendance! !, (CCF Newlands): Prizes: CCF Hoodie, CCF Long Sleeve Tee, CCF T-shirt/Vest, CCF NEW Speed Rope & a 1h Sports Massage with Jeanine! Tammy R, (CCF Gardens): Prizes: CCF Long Sleeve Tee, CCF T-shirt/Vest, CCF NEW Speed Rope & a 30min Sports Massage with Jeanine! Luke K, (CCF Gardens): Prizes: CCF T-shirt/Vest, CCF NEW Speed Rope & a 30min Compex Recovery Session with Jeanine! Brad C, (CCF Newlands), Prize: R1700 Cash + R450 Voucher from the Whole Food Pantry! Bradley lost 6.6kg, went from 17.77% to 14.00% Body Fat which is a whopping +20% improvement in Body Composition! Caitlin P, (CCF Foreshore), Prize: R1260 Cash + R300 Voucher from the Whole Food Pantry! Caitlin's weight remained close to the same, but her body fat % improved massively as she lost a lot of body fat weight while building more muscle! Doron C, (CCF Foreshore), Prize: R840 Cash + R200 Woucher from the Whole Food Pantry! Doron made one of the more dramatic changes in the before and after photos AND he changed his Body Fat % from 18.2 to 16.4! Congratulations, but why do we actually do these challenges? Truth be told, we simply love seeing all the improvements and how focused you guys get in these challenges and we see it as means to further motivate our members to lead a healthy lifestyle. Winning prizes and such is all really cool, but for us as coaches the biggest winners are ALL of the members that got a bit stronger, faster, fitter, lost a bit of body fat and found new ways to stick to a healthy nutrition plan. If you top that with being committed to your consistency we know that we are building a small army of super healthy and fit human beings! Keep your eyes open for more challenges in the future. PS. ALL THE WINNERS: You can collect your prizes at your home box!